Chic Appart-Villa 2/3ps located at Doors of Avignon a haven of Peace near shops! 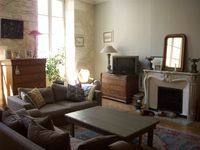 Property 15: Chic Appart-Villa 2/3ps located at Doors of Avignon a haven of Peace near shops! Property 29: APARTMENT FOR FESTIVAL NEAR AVIGNON, A CORNER OF PARADISE! Property 49: The Atelier d'artiste.